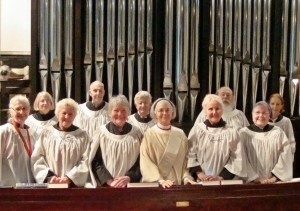 Music has always been an integral part of worship at St. Thomas’. In 2007 we added music to the Sunday 7:30 a.m. Holy Eucharist Rite I. The folks who worship at 7:30 a.m. tell me this enriches their worship experience. They sing the hymns with gusto! Especially impressive since The Choir does not sing at 7:30! The St. Thomas’ Choir helps to lead the singing at the 10:00 a.m. Holy Eucharist Rite II/Enriching Our Worship. The Choir is a very dedicated group of anywhere from 8-16 singers who sing all year! From September through May we rehearse on Thursday evenings from 5:00 – 6:30 p.m. 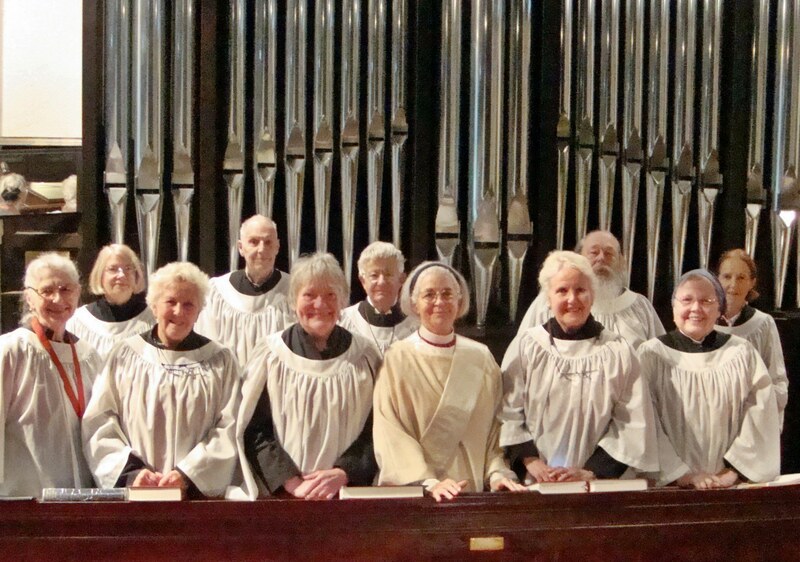 Year-round we rehearse Sunday mornings from 8:30-9:00 a.m. We sing a broad spectrum of music from plainchant to early American folk tunes, to American spirituals, to four-part anthems from the 16th, 17th, 18th, 19th, 20th and now the 21st centuries, to newly-composed texts and tunes, both in unison and in harmony. We even have a few anthems composed for and dedicated to our Choir! 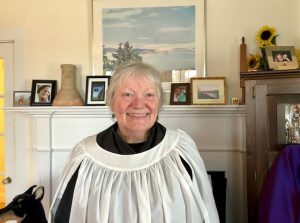 We change the service music; e.g., The Gloria, Sanctus and Benedictus, Fraction Anthem, Agnus Dei, according to the liturgical year, thus underscoring where we are on our path together as a worshipping community. In addition, we welcome choir members from afar who sing with us during the Summer, or when they are here in town. In 2012 I started writing a weekly column called Today’s Music for Tidings (our Sunday bulletin insert). I love hymns! And, they have incredible stories and journeys. I choose the hymns very intentionally according to the lessons for that day, and I strive to keep a balance between old and new, various styles, e.g. four-part harmony, unison, folk, plainchant. I write about the Choir’s anthem as well as the organ music. So keep sending me e-mails with questions or comments! To learn more about the history of the organ at St. Thomas’ and its specifications, please visit Our Organ page.